New Delhi : In Lok Sabha Polls, this was noticeable that Prime Minister Narendra Modi was targeting each and every politician’s word and was coming out with a better version. Everyone knows the result that came after this tactic. Now, think what Mr Kejriwal is doing. Can’t get it? No worries, tune-in to any radio station from the national capital and what you will hear is the answer to the above mentioned question. If you are living out of Delhi, here is what we are talking about. Bharatiya Janata Party pulls out the biggest drawback Aam Aadmi Party had shown during their 49-day rule. Everyone who hears seems convinced but before he could fully made-up his mid Mr Kejriwal comes up with an answer and reason and also a faith for which he should be given another chance. For instance, Amit Shah’s BJP came up with an ad campaign voicing an old lady about her vote which went wasted last time because AAP ran out from power in just 49-days, like a good dream that never accomplished. Now, after almost 1 week we hear about the same ad from Mr Kejriwal mentioning he didn’t run instead he wanted to rule the national capital with full majority. So, he should be given another chance. Similar act was seen when PM Modi had kick started his Delhi campaign. All the indirect allegation which our PM posted on Aam Aadmi Party were soon washed by Kejriwal himself in a press conference same day. 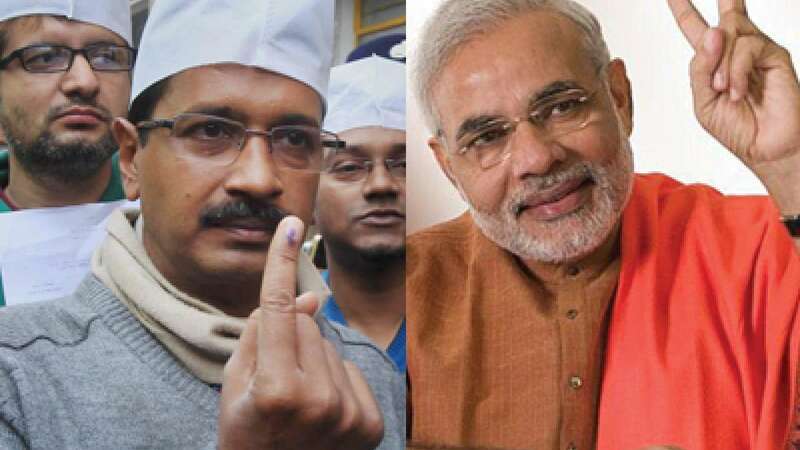 Though these incidences are just politically influenced and the two parties – BJP and AAP – seem to be in the battle. We want you to cast your vote with your opinion and not an influenced one. We also want you to at least vote. Jai Hind! The voters will decide fate of both the parties on February 7, 2015. Results will be declared on Fevruary 11, 2015.